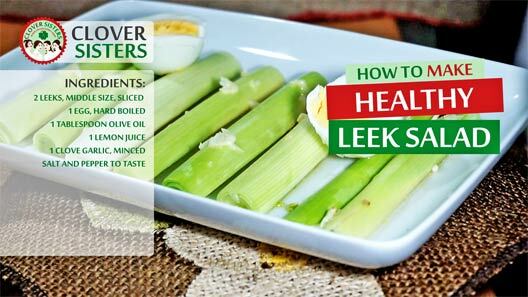 Brilliant, nutritious, easy to make, healthy and tasty fresh leek and egg salad is perfect solution for quick bite or elegant starter. 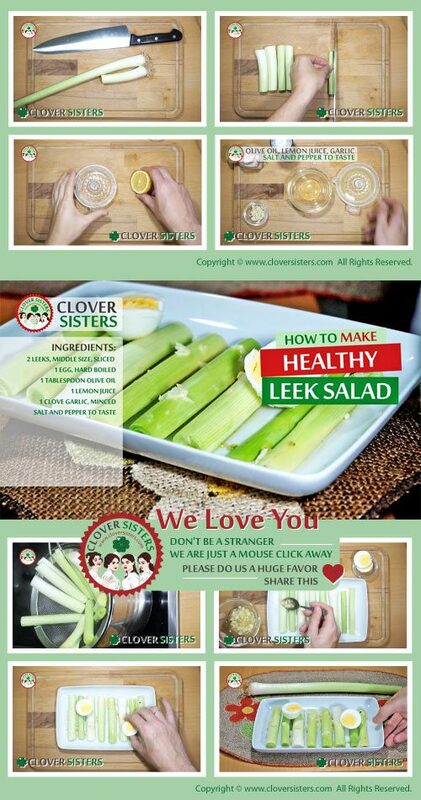 Steam the leeks first then season and place them into serving tray. Whisk lemon juice with the olive oil and garlic, and season with the salt if needed. Spread the mixture over the leeks and decorate with pieces of hard boiled egg.